Saving Lives, a Day at a Time! This means they eat a balanced diet in small portions between regular intervals. They avoid junk food at all cost and are creative in playing around with different but healthy dietary options. The result is always healthy living and a strong looking physique. They drink adequate amounts of water between meals to aid in digestion and avoid dehydration. Drinking water (moderately), is healthy as water is a natural solvent for the body. It also helps in moisturizing the body and also in smoothing the human waste hence easy defecation. Overeating is simply eating more than enough. There are people who lately refer to themselves as “foodies”. These are people who eat just about everything so long as it is available. This is completely unhealthy and it has a negative impact on a person’s overall health. Whole grains and fiber rich foods are an important part of any food portion that can qualify as healthy. These help in the general processes of the digestive systems right from when one bites a food portion to when the waste product is released via the rear part of the digestive system. For this reason, productive people take seriously the role of whole grain and fiber in their diet. Regular intake of fruits and vegetable improves a person’s health as these foods are rich in vitamins which help in fighting illnesses within the body. A body without sickness is healthy and this extends to the reproductive health of the individual. Fruits are readily available and they are also relatively affordable. There is therefore no excuse in failing to make them an integral part of a dietary regime. Generally, fruits are rich in vitamins. 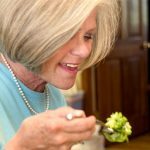 However, in some cases, the nutritional value varies from one species of fruit to another and this can be taken advantage of, in order for an individual to experience a high quality life. Alcohol obviously has more negative effects on the body than it has positive ones, that is, if any. For enhanced reproductive health especially among the female species of the human family, it is advisable that they stay away from alcohol and alcohol related products. As it is already clear, alcohol consumption is quite addictive and what might start as a little sip could easily degenerate into an addictive affair which has disastrous negative effects on health. Like alcoholism and drinking, smoking of both tobacco or marijuana or any other form of substance abuse should be avoided by all means. Tobacco has nicotine that affects the lungs and effectively the breathing and circulation of oxygen in the body. This in turn adversely affects other body organs and the general functionality of a biological system. Reproductive system is one of the victims of this vice. Some people believe that some sicknesses are punishments from the gods for doing something evil or disobeying religious teachings. This is quite common in terminal illnesses or complicated sicknesses. Examples are HIV/AIDS and Cancer. The truth is, there are different causes of illness and this has nothing to do with the gods being angry or something like that. If this were true, would we be having any human life in the tropics or Antarctica? What of North America and parts of Europe? This is a myth that somehow, many people believe in. Cold weather is as a result of a change in climatic conditions and is not meant to cause havoc in terms of bringing sicknesses with it. As already notes, there are disease carrying vectors which should be the main focus and not the weather as it has nothing to so with someone’s health. The eye has been designed in such a way that it self regulates the amount of light that enters and leaves it in terms of visuals. Sitting close to a TV set, a computer system or any other light variation does not necessarily destroy eyesight. This is just a myth that is meant to scare may be school going children to choose homework over watching television for example. First of all, why 8 glasses? Why not 6m or 6 or even 20? What is the rationale behind this static figure? We all agree that water is an integral part of the human life and without it, there is virtually no life. However, whoever came up with the theory that daily, one has to drink 8 glasses (what size of glasses by the way) of water must have been out to some sort of personal gain. Come to think of it, a lot of people do not subscribe to this idea but they seem to lead a near perfect life! This is simply what it is….a myth! Have you ever taken time to ponder about some of the simplest of physical exercises that will enable you reduce the amount of fat in your body, reduce the flesh from unwanted areas and set you on course to a dream shape? Most of this exercises do not require an element of advanced professionalism in the area of fitness. Have you ever tried these? It is important that before you do something crazy, like book an exotic car hire in Los Angeles, to be physically fit and ready to enjoy the experience as much as possible. Jogging can be described as light running. When one runs slowly, it eventually helps in pumping the heart quickly. Consequently, there is a steady blood flow that aids in the quick consumption and absorption of food taken by the individual. This also assists in removing waste through sweat enhancing the overall outlook of the individual. Strolling is when one takes a light walk. It could be within the neighborhood, to the market or to the grocer. Whenever this is done, it is advisable it is timed so that one is able to measure the time taken to cover a specified distance. This will assist in knowing which areas to improve and whether or not they go longer. This is especially important when you visit Cannes with a luxury car rental. Sometimes taking the staircase to your office about three or four floors above can be a good exercise. The fact that a building has a staircase doesn’t necessarily mean that they should always be taken when moving up and down. Guess what, regular and steady use of the alternative, the staircase is a good way to cut weight and realize your dream shape after a certain length of time. Keeping fit is one of the vital elements g of the human body. The body responds differently to different situations and it is important that is in good shape as this contributes immensely in the overall well-being of a person. Below are a few books that provide useful insights in the journey of keeping your body in good physical form. Written by a group of wellness enthusiasts led by Jeanette Ortega, the book is indeed a gem worth a reading by those who would like compilation of tips and fitness strategies that will keep their bodies in shape. It provides powerful tidbits on how to overcome challenges that may be encountered on the journey to perfect fitness and gives a brief look at physical journey of the whole body, talk about mind body and soul. It can be found stocked in your nearest bookstore, with an online soft copy and can also be purchased on Amazon. This is an 18 day fitness routine developed by fitness guru, Rosalie Brown. The book offers simple and systematic approaches to the dream shape. The book is purely biased towards physical exercise and at the end of slightly over two weeks of continuous practice, one would have achieved a more healthy physical appearance. Originally written in Thai, the book is for beginners in the fitness journey. It explores the whole process from highlighting the importance of one getting out of their comfort zone to beginning the physical regime with simple exercises as they get better at it with time. It also highlights the fitness of the heart and its importance to the general well-being of the whole body. This is as simple as it gets. It involves rotating a piece of sizable rope or string along the frame of the body as one jumps over it. With good shoes that can have better grip on the ground or slippery surface and armed with a strong yet light rope and a spacious room or outdoor area, one is good to go. There are different variations that can be put into it and this has been proven to be one way of burning fat and calories and maintaining a healthy blood flow. Just like Rope Jumping, mountain climbers are very easy. One leans all the way down from the front and touches down with their palm. They then move their feet in succession as if climbing a gradual slope. Intensity of the feet movement can be increased and varied to increase the flow of the blood through the heart. One squats on a flat surface and jumps while rooted at the same place. They then can try moving around adding in a little variation by playing around with the position of the arms within the squats. This should however be done in short time intervals as its intensity is usually very high given that the whole body weight is concentrated in one place. This can be looked at as a slight variation to push ups. One leans forward all the way down with the arms down and suspending the middle body between the arms and toes. 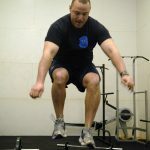 They then can do regular squats on a flat surface or “walk” as it were with the arms while getting back up like a bear. It is a good physical exercise that enhances smooth and regular blood flow to the upper body. 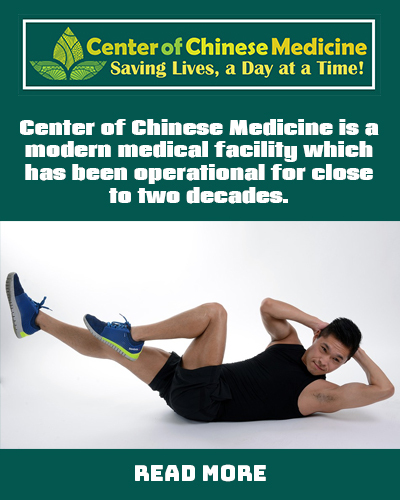 Center of Chinese Medicine is a modern medical facility which has been operational for close to two decades. 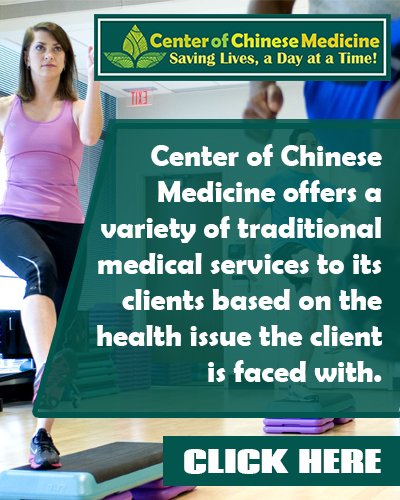 Copyright © 2019 Center of Chinese Medicine. All Rights Reserved.